"Grotto" means "underwater cave". 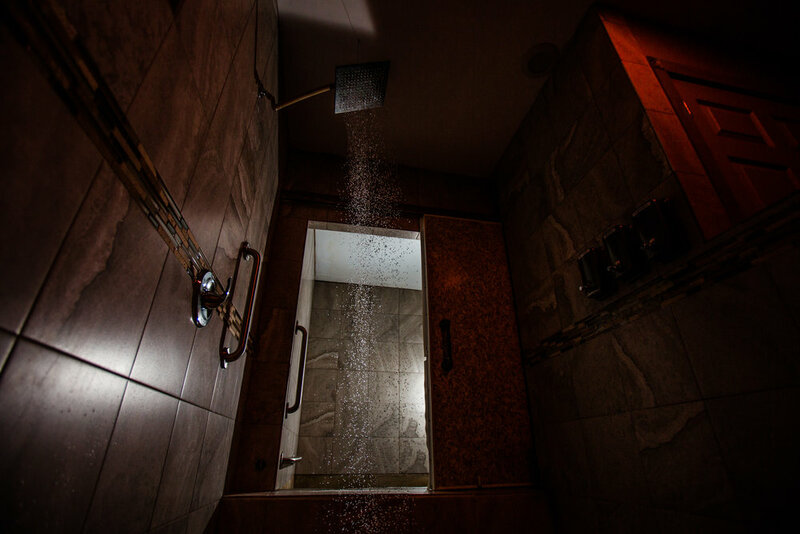 In this presentation of the flotation experience, we wanted to create a warm earthen feeling. Browns and Tans keep the sensory input leading to the pool grounding and neutral. The Grotto is a great floating pool for first time guests who may be nervous about a dark/dim environment. The Grotto does offer full sensory deprivation, as do all of our pools. To book a float in The Grotto, please review our Schedule!